The brand was set up by then 17-year-old Shane Corry in 2013. THE FIRM BEHIND the Irish-founded YouTube channel Facts has axed staff working on the unprofitable video operation as its young founder prepares to sell off the parent company and its assets. 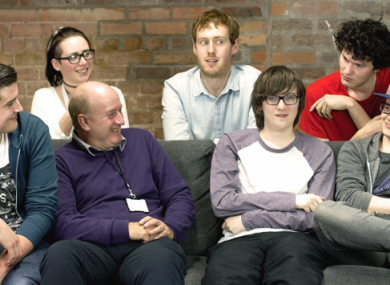 Creative Nation, a Dublin-based firm, was founded in 2013 by then 17-year-old Shane Corry. The company produces its own viral videos for social media platforms such as YouTube and Facebook under the Facts brand. The firm also acts a ‘multi-channel network’ – a talent scout of sorts for online influencers – that advises content creators in exchange for taking a cut of their revenues. Creative Nation, which has at least two dozen full-time staff on its books, grew the Facts brand to 1.3 million subscribers on YouTube. The channel also amassed a significant fan base on social media, including more than 140,000 Facebook followers, with its viral videos, most of which depict Irish people sampling foreign foods. Corry confirmed to Fora that he is “in the process of selling Creative Nation” but would not comment on the timeline nor the price he was seeking for the firm and its social media accounts. The founder also confirmed that Creative Nation made the decision to stop producing videos for the Facts brand. Corry said the channel had never turned a full-year profit and it had enjoyed only four profitable months over the three years of operation. He added that, as a result, the Facts wing of the business is sitting on cumulative losses of over €400,000 and it had become progressively harder to earn significant advertising revenue on YouTube. “The channel’s revenue per 1,000 views is down over 30% from the same period last year, this is similar if not better than what other YouTube creators are seeing,” Corry told Fora. Staff were notified this week that the company has ceased operations of the Facts YouTube channel. Corry said that the employees let go have been paid all outstanding salaries and were given “fair notice/redundancy with the closure of the Facts channel”. The most recent set of accounts for Creative Nation McN Ltd show that the firm made a loss of just under €250,000 for 2016. This pushed accumulated losses at the company into the red to the tune of nearly €47,000, despite it booking a €181,000 profit in 2015. According to the accounts for 2016, the firm employed an average of 13 people that year, including three directors, and staff were paid an average of €35,000. Directors’ pay fell from more than €70,000 in 2015 to less than €45,000 in 2016. Based on documents filed with the Companies Registration Office, Corry incorporated a new firm last year called Scexchange Limited. According to his LinkedIn profile, he is chief executive of this new firm which is an Irish-based digital currency exchange service launched in December last year. The description of the company states that Scexchange Limited will allow for instant exchange between digital currencies and the purchase of digital currencies using US dollars or euro via credit and debit cards. Email “'Not a viable business': Popular Irish YouTube channel Facts will be axed after losing €400k”. Feedback on “'Not a viable business': Popular Irish YouTube channel Facts will be axed after losing €400k”.